tall, shoulderlenght darkbrown hair, several scars, blue eyes. Farn is brave, but does not take foolish risks. He is very protective towards the ones he cares about, but a little overprotective towards Sharja. 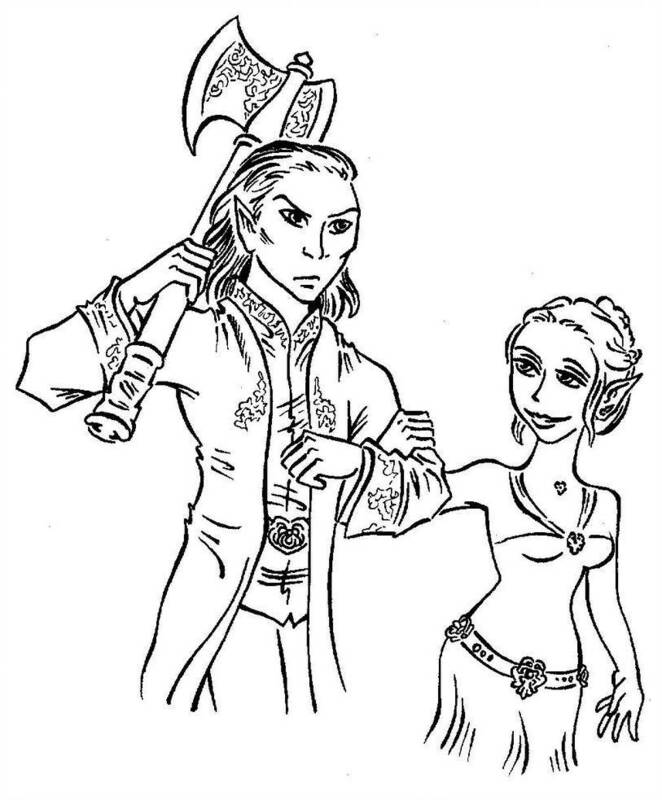 Farn will act nice and polite but does not make friends easily, and in fact does not even like most other elves, preferring solitude over socialising any time. He is very serious and not very good at handling emotions, and quick to anger. Having been taught to hunt and fight since early childhood, Farn joined the army, where he had a fairly succesfull career. He married May, a girl he had known since he was a youngster. They had a daughter, Sharja. Eventually Farn started to dislike working as a soldier, mostly because he questioned his orders and had trouble following them up. May, who was very ambitious and who was, at this point in their life, finally achieving succes in her line of work, didn't understand why he wanted to throw away a perfectly good career. After many years of arguing Farn decided to leave the army and divorce May to become a mercenary. Farn is not up for roleplaying. Farn and his lover, the princess, are invited to a ball. Since a war is about to break out, Farn takes his battle axe, just in case.